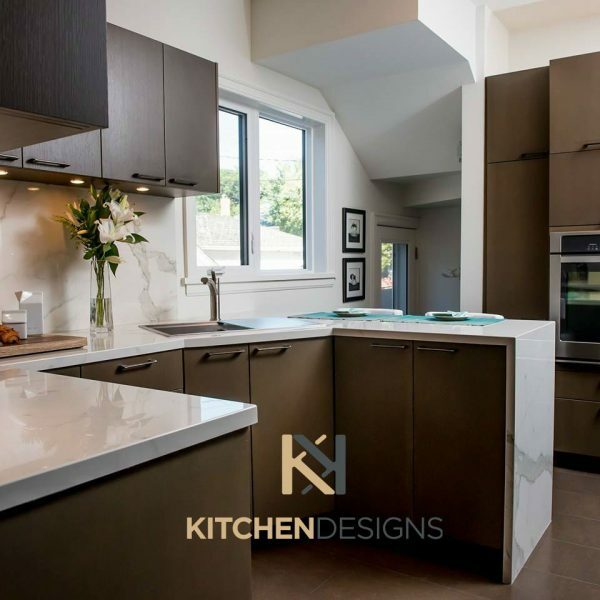 A desire to rebrand and reposition their business saw Kitchen Designs contact TMD Winnipeg. After an initial consultation, a full suite of marketing materials were developed to help them focus on a new higher income earning audience. TMD Winnipeg supplied Kitchen Designs with a new logo, website, business cards, business stationary including letterhead & envelopes along with a series of advertisement templates to be used in print and online. TMD is also managing Kitchen Designs ongoing content marketing strategy which includes the development of content for their blog and social media channels including Facebook, Instagram, Google+ & Twitter. 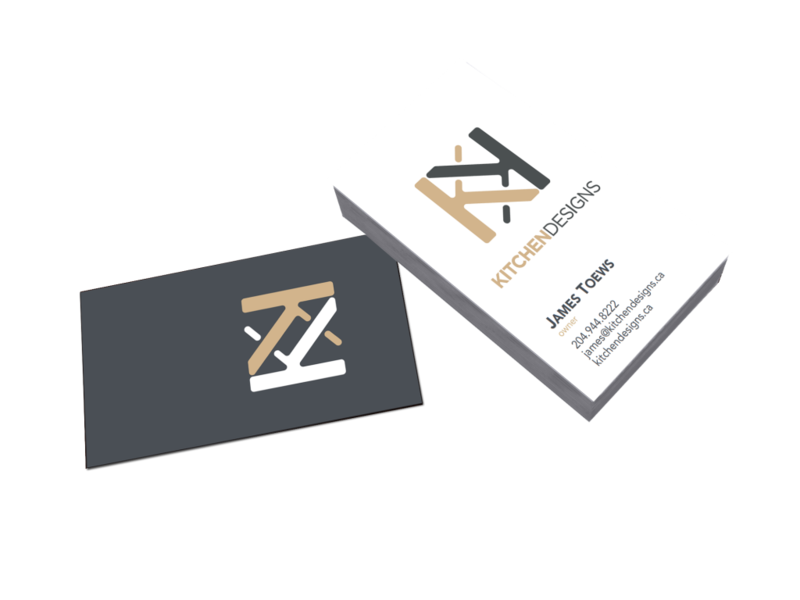 Utilizing a colour palate that helps to communicate the tone and professionalism of the Kitchen Designs team was a priority for their new logo. By developing a letterform style logo, we were able to demonstrate Kitchen Designs creativity in a modern, fresh manner. Extrapolating and using the contrast in colours from the pattern used in their newly designed logo, we were able to create a business card that was clean, easy to read and strong in its design. Dealing with the team at Kitchen Designs is a wonderful experience. From the initial consultation with their experienced and talented design staff, through to dealing directly with the owner for estimating and installation, the team at Kitchen Designs makes buying a new kitchen a breeze. Our goal with their new responsive website was to clearly demonstrate the process, showcase their portfolio and incorporate valuable lead capture forms.